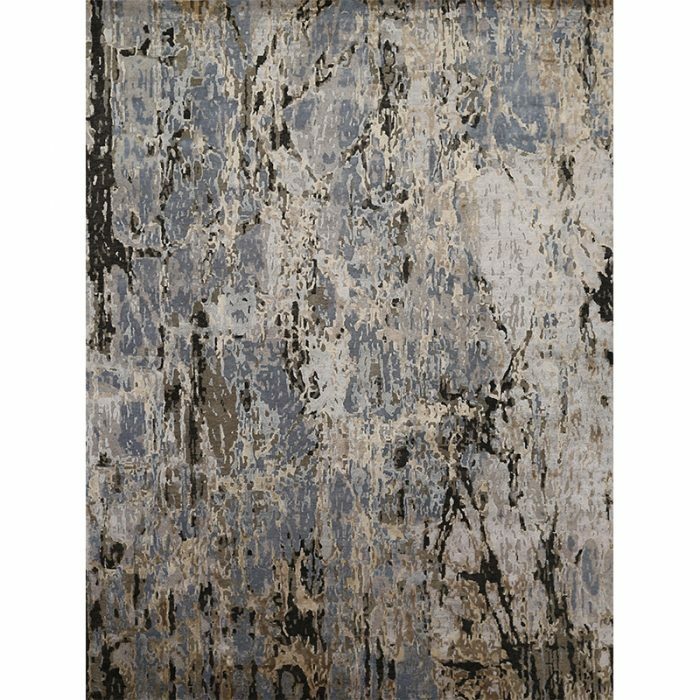 This stunningly beautiful handwoven contemporary bamboo silk area rug is an excellent choice for anyone wanting a striking foundation for their room. The modern abstract design fits perfectly into any style from state-of-the-art commercial to trendy chic or elegantly smooth. 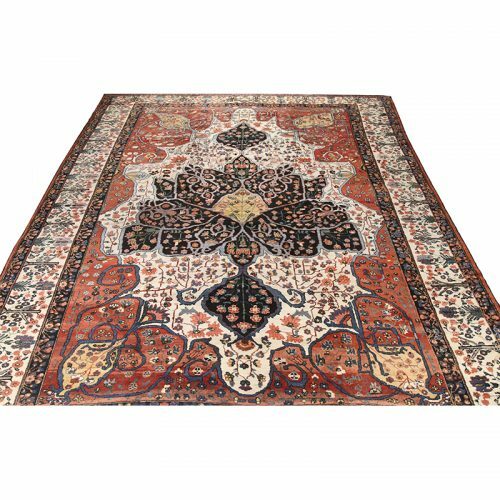 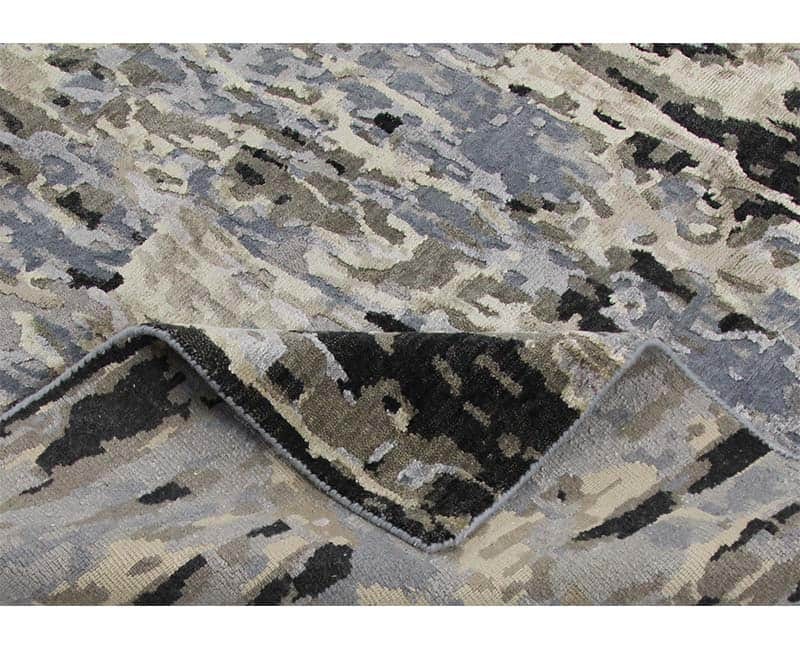 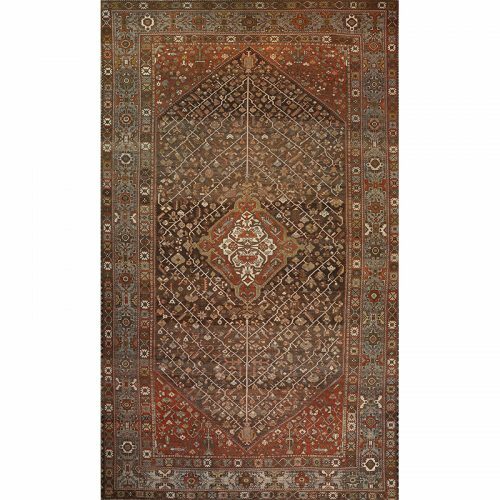 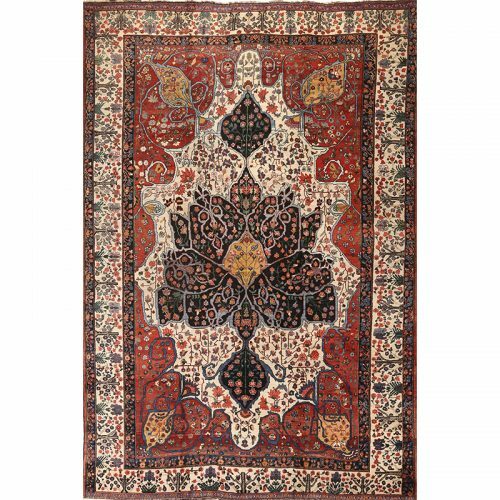 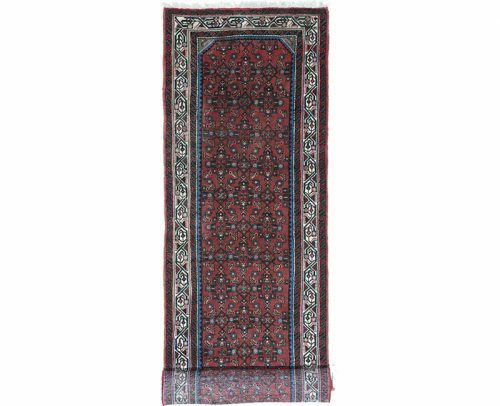 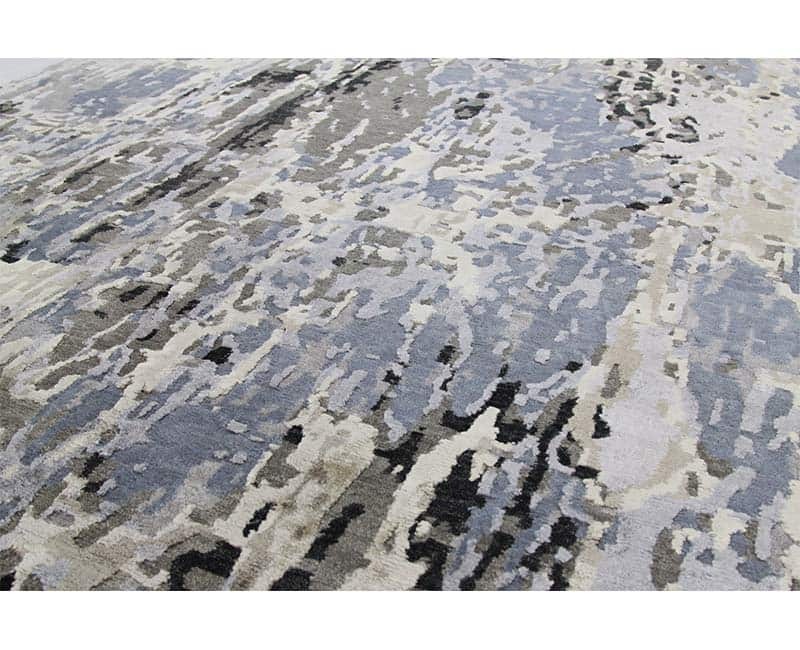 This highly sophisticated modern rug features a ravishing design. So, throw a party and be the envy of all your friends. 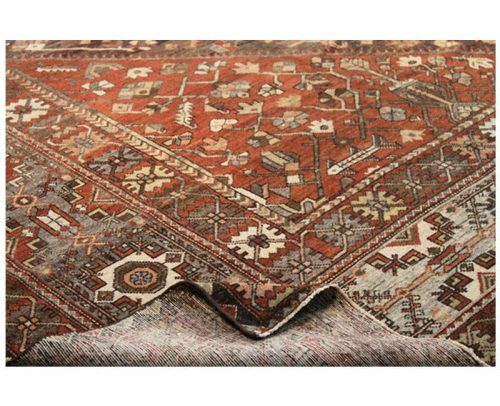 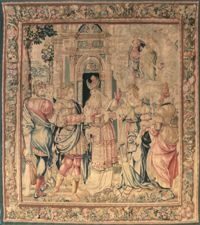 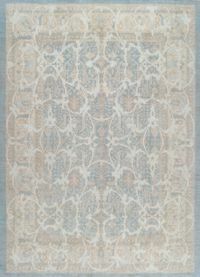 In short, this rug promises to be a celebrated statement piece in your home for many years to come. 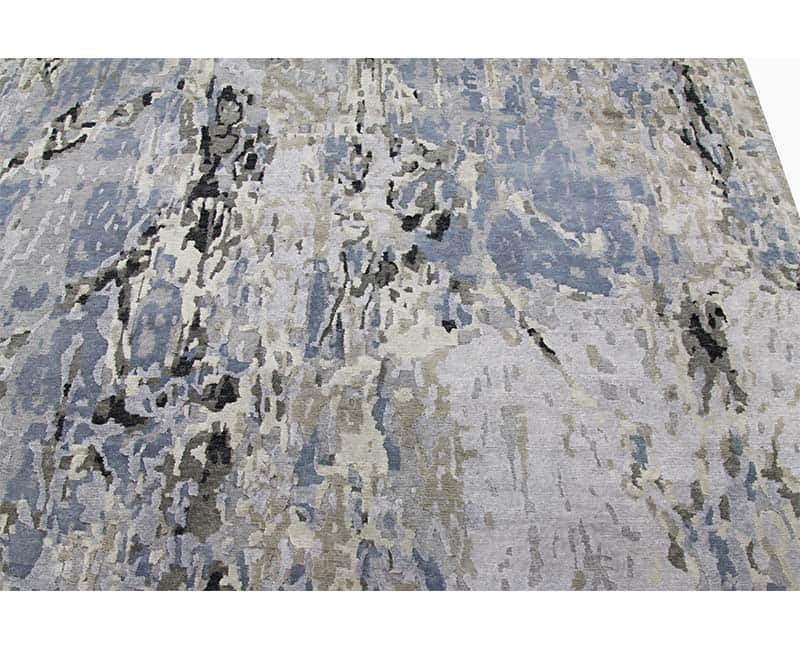 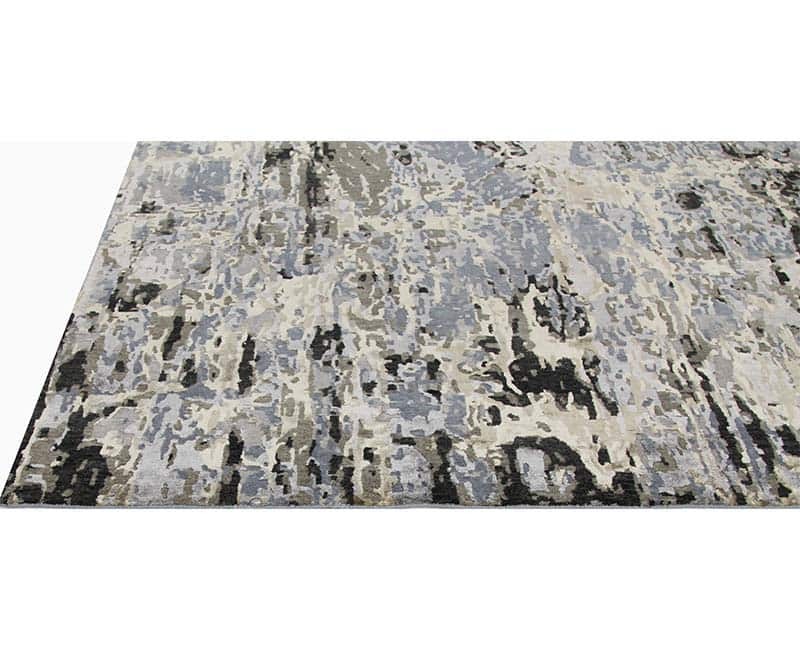 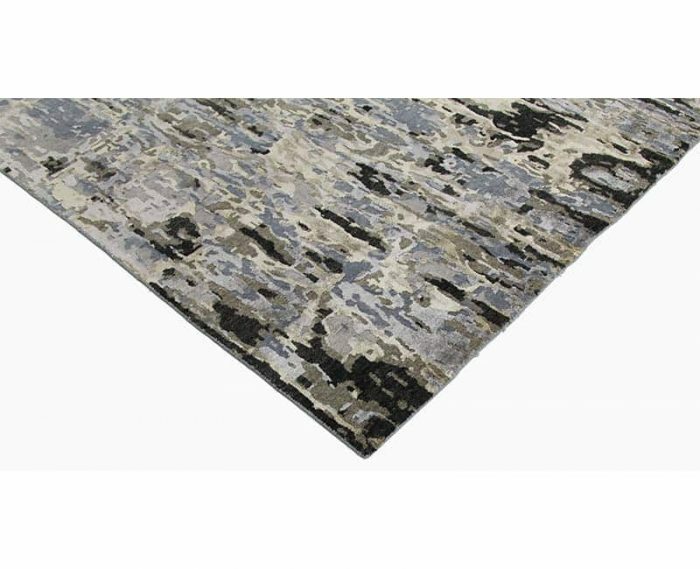 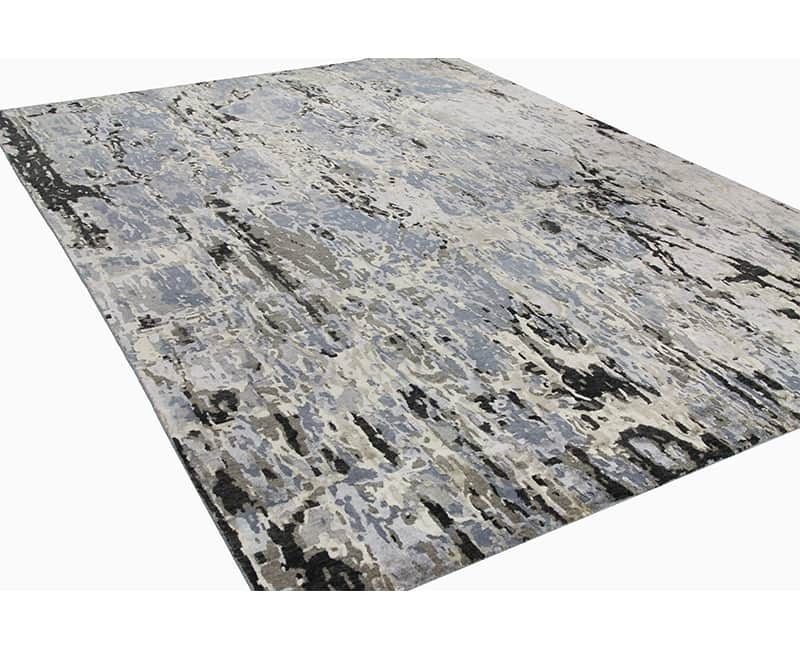 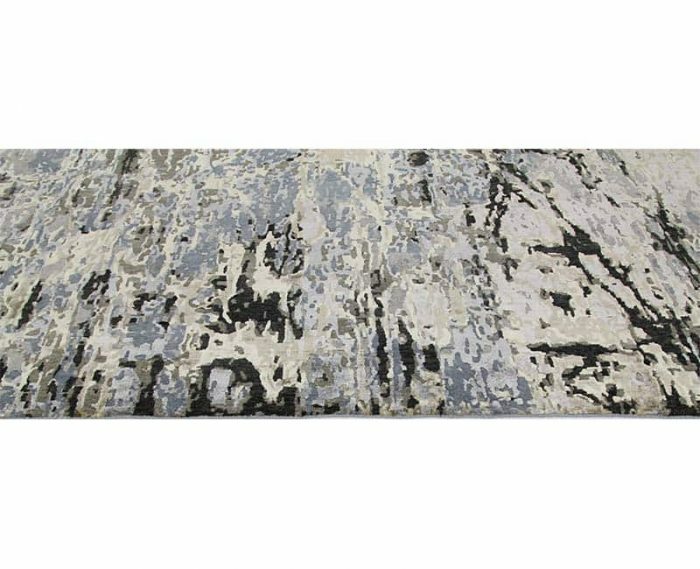 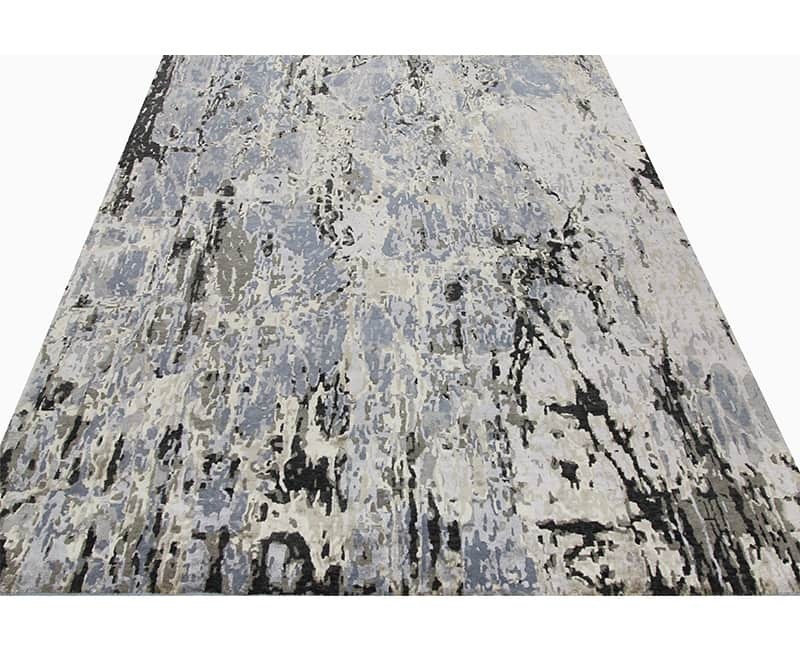 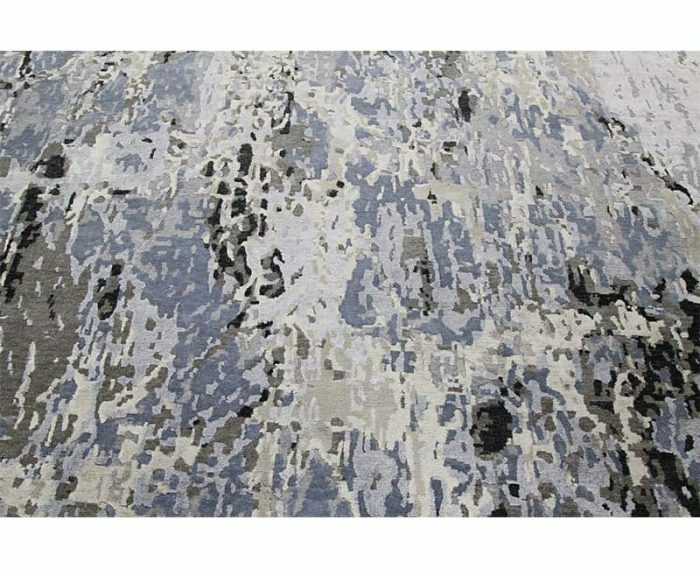 This luxurious handwoven contemporary bamboo silk area rug features an allover design in black, blue, silver, and gold. 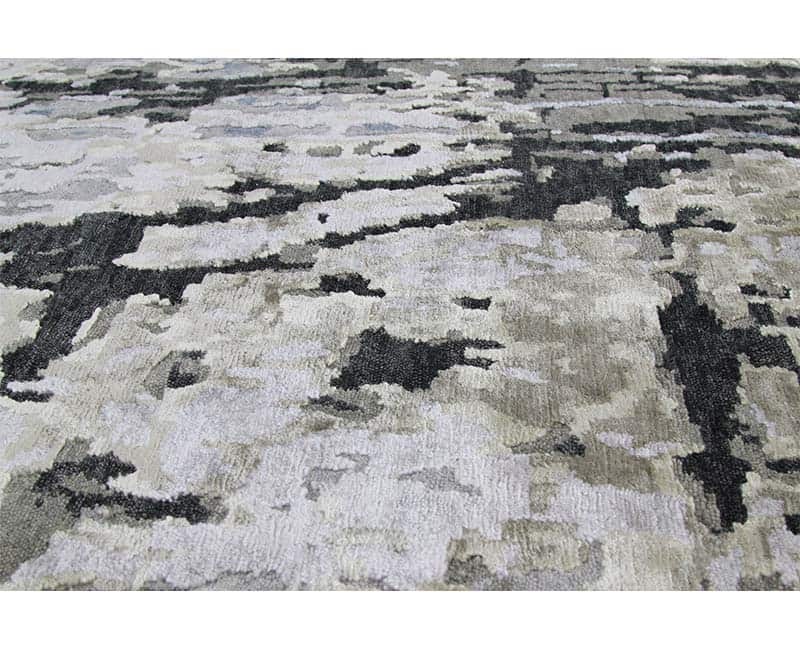 Created from 100% highlands mountain wool and exotic bamboo silk by the artisans of India.